Enriched with years of experience in the industry, we are engaged in offering Bath Cloth Holder. This Towle Rod is light in terms of its weight and has a metallic shine. 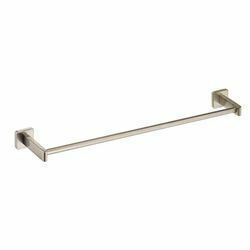 Towel rod 18 inch long 75/00 Rs. Towel rod 24 inch long 100/00 Rs.